March 23, 2012 by Ken Ward Jr. Huge news today, with the conclusions of the National Institute for Occupational Safety and Health panel’s report that provides critical context within which everyone should view the federal Mine Safety and Health Administration’s actions — and the agency’s public statements — about the Upper Big Branch Mine Disaster. … If MSHA had engaged in timely enforcement of the Mine Act and applicable standards and regulations, it would have lessened the chances of — and possibly could have prevented — the UBB explosion. It’s a remarkable conclusion, coming as we approach the 2nd anniversary of that terrible explosion that killed 29 workers at a Massey Energy mine in Raleigh County, W.Va., back on April 5, 2010. The panel’s report puts quite a different face on things than MSHA, the Obama administration, and congressional Democrats (not to mention repeated editorials from the New York Times) have tried to push in their effort to downplay MSHA’s failings and protect their friend, agency chief and former United Mine Workers safety director Joe Main. — … If MSHA enforcement personnel had taken appropriate actions during the inspections in the month prior to the explosion, either dangerous accumulations of explosive coal dust would have been rendered inert, or the mine would have been idled. In short, even if there had been a gas explosion, it would have lacked sufficient fuel to trigger a massive dust explosion. Therefore, the IP’s overall analysis suggests that if MSHA had engaged in timely enforcement of the Mine Act and applicable standards and regulations, it would have lessened the chances of — and possibly could have prevented — the UBB explosion. 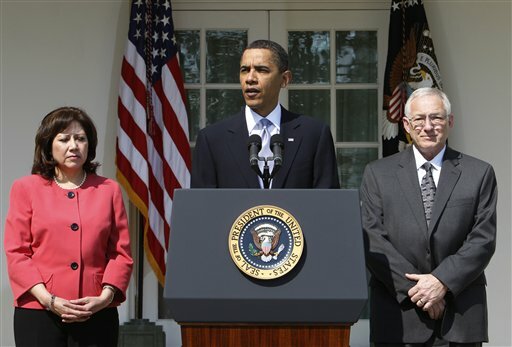 Some readers may recall that, back when the Obama administration actually talked much about coal-mine safety, Labor Secretary Hilda Solis asked NIOSH chief John Howard to appoint a team of experts to conduct an “independent assessment” of the MSHA “internal review” of agency actions at UBB, to assure “transparency and accountability” in MSHA’s review of itself. Now, NIOSH officials were trying hard today to distance their agency from this report, refusing to release copies and insisting it was an “independent” report. 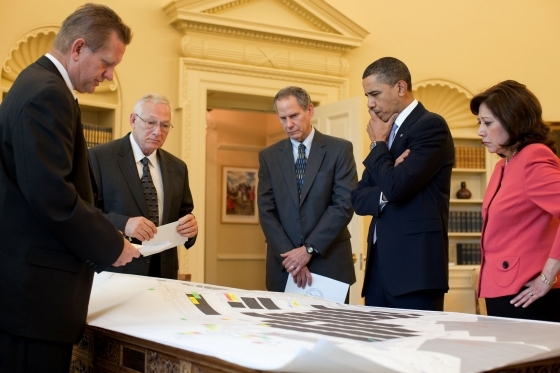 But the leader of the independent assessment was Jeffrey Kohler, who is director of mine safety research for NIOSH. Two of the other four team members — Lewis Wade and Michael Sapko — are retired from NIOSH. The fourth member, Stanford law professor Alison Morantz, also has ties to NIOSH. It’s important to understand the NIOSH connection, because given the close relationship between MSHA and NIOSH on mine safety and health issues, this adds even more weight to the report’s bottom-line conclusions. I’ve posted a copy of the NIOSH panel’s report here. While the Internal Review team did not find evidence that the actions of District 4 personnel or inadequacies in MSHA safety and health standards, policies, or procedures caused the explosion, the team found several instances where enforcement efforts at UBB were compromised because MSHA and District 4 did not follow established Agency policies and procedures. The Internal Review team also found inspectors would have benefited if certain policies and procedures had been more clearly drafted and more effectively implemented. Would a more effective enforcement effort have prevented the UBB explosion? … If MSHA had engaged in timely enforcement of the Mine Act … it would have lessened the chances of — and possibly prevented — the UBB explosion. Even if a frictional ignition had occurred , there would have been insufficient combustible coal dust to fuel a massive explosion. The Operator concealed its highly non-compliant conduct in a number of significant ways. The Operator provided advance notice of MSHA inspections, allowing foremen to correct violations before inspectors arrived underground to detect them. It concealed several occupational injuries by failing to report them to MSHA as required. The Operator recorded hazards in internal production reports rather than in the examination books required by MSHA standards. Finally, it intimidated miners into not reporting hazards to MSHA, compromising miners’ ability to participate in the identification and correction of hazards, as provided by the Mine Act. These intentional efforts to evade well-established Mine Act provisions, which are intended to provide MSHA the opportunity to determine operator compliance or designed to make available vital safety and health information, interfered with MSHA’s ability to identify and require abatement of hazardous conditions at the Mine. … Concealment activities by the mine operator would have adversely impacted MSHA’s enforcement performance at UBB, however, the mine operator di not, and could not, conceal readily observable violative conditions such as flat dust accumulations throughout the UBB and missing supplemental roof controls. MSHA has posted what it says is the “complete” NIOSH panel report here. The only difference between it and the version I obtained earlier today appears to be a one-page “errata” sheet that doesn’t change any of the major conclusions, and this letter in which NIOSH’s John Howard transmitted the report to MSHA. The letter doesn’t say much, either. Following the explosion at the Upper Big Branch mine, it was clear that a tragedy of this magnitude would require a deep and far-reaching investigation of the accident and a thorough review of the Mine Safety and Health Administration’s (MSHA) actions at the West Virginia mine. MSHA immediately initiated an internal review and then asked the National Institute for Occupational Safety and Health (NIOSH) to empanel an experienced team to provide an independent analysis of MSHA’s internal review. MSHA received the independent panel’s report and is reviewing it, but did not wait for the results of either review to make a number of improvements. MSHA began making changes in April of 2010 to ensure it is doing its utmost to keep America’s miners safe. MSHA is committed to rooting out and addressing critical issues within the agency head-on, and agrees more needs to be done to ensure full and effective enforcement of the Mine Act. Under the Mine Act, Congress gave mine operators responsibility for running safe mines. Four investigations into the explosion all show that Massey Energy did not live up to that charge. Recent testimony confirmed that mine management routinely used illegal tactics to conceal violations from inspectors. MSHA cannot keep miners safe alone – mine operators must commit themselves to safety and health. I believe the new inspectors were overwhelmed trying to enforce all the regulations, a squiggly missing on a life line, a shelter not moved up, a dirty piece of equipment, a belt rub, and forgot the basics. Ventilation, roof control, extra rockdusting in returns, and dust control. Most mine explosions have been a result of lack of ventilation and accumulation of dust. Been true for more than a 100 years, probably will be true the next 100 years. I too agree with Mr.Spade we need to get back to the basics the 3 main areas of mining. Roof, Ventilation, and coal dust clean up and rock dusting.